This weekend, the Royal Ontario Museum wades into the #MeToo conversation with a display prompted by sexual misconduct allegations against an artist whose work is being exhibited at the museum at the same time. This weekend, the Royal Ontario Museum in Toronto wades into the #MeToo conversation with a display prompted by sexual misconduct allegations against an artist whose work is being exhibited at the museum at the same time. The #MeToo & the Arts display, exhibited in a small space near the main entrance, references allegations against Raghubir Singh, a groundbreaking Indian photographer who died in 1999. When the exhibition of Singh's photographs, entitled Modernism on the Ganges, was on view late last year at the Met Breuer, part of The Metropolitan Museum of Art in New York — the institution that curated the show — it was protested by artist Jaishri Abichandani, who alleges Singh sexually abused her in the mid-1990s. "It shocked us, it made us really concerned and it made us think a lot," said Deepali Dewan, a curator of South Asian art and culture at the ROM. In the wake of similar allegations against other artists, some institutions have cancelled or postponed exhibitions. That's what happened at the National Gallery of Art in Washington with planned shows this year by artists Chuck Close and Thomas Roma. "Given the recent attention on their personal lives, we discussed postponement of the installations with each artist," said Anabeth Guthrie, the gallery's chief of communications, in a written statement. "All parties involved acknowledged that it is not the appropriate time to present these installations." Instead of cancelling or postponing the Singh show, the ROM took a different approach. "It felt like the reasons to do the show were still important to us," Dewan said. "At the time, the #MeToo movement was early on, and it seemed like museums, all they were doing were either cancelling projects or ignoring allegations that had come up. We didn't feel either of those options were a good path, so we felt like we needed to forge our own path." ROM director and CEO Josh Basseches said the institution wants to address the important issues of the day rather than shy away from them. "We have a particular role to play to help our audiences navigate the same questions that we are navigating." 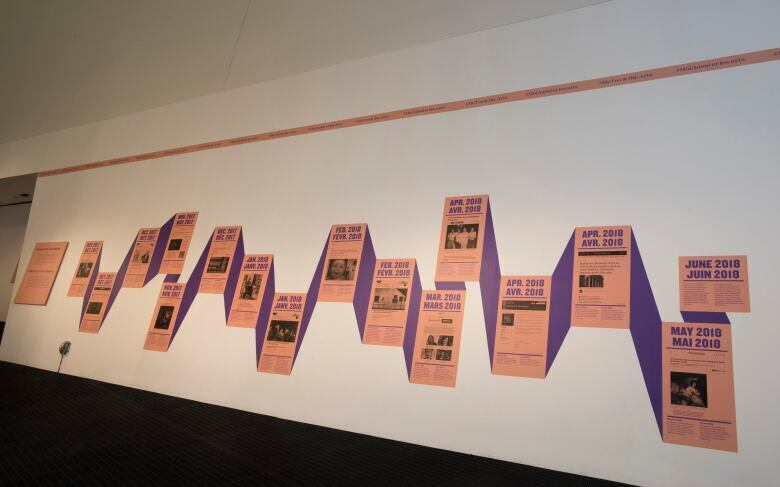 The #MeToo & the Arts display consists of a large format reprint of an article about the allegations against Singh and the larger context. There is also a timeline of #MeToo-related stories in the art world over the past nine months and a video installation of interviews with individuals in the arts and those working in anti-gender-based violence advocacy roles. 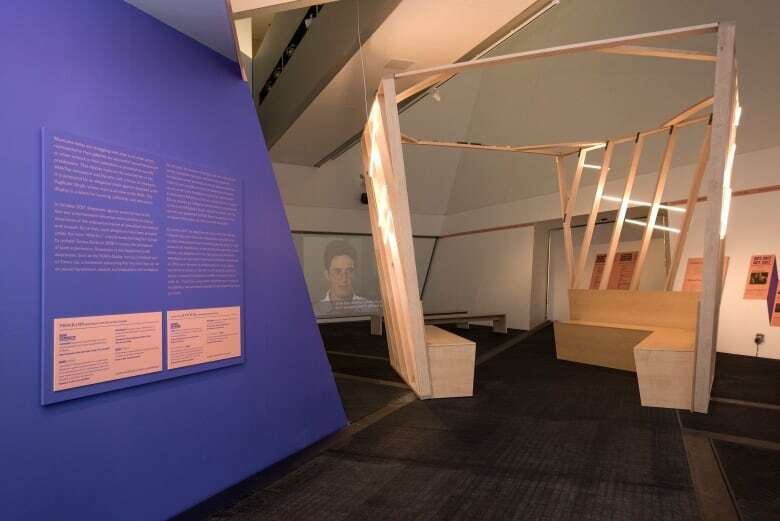 The exhibit also includes a wooden structure designed for contemplation. The ROM has announced a series of panel discussions, lectures and film screenings to be held over the next few months with details still to come. The #MeToo & the Arts display is free to the public, whereas viewing the Raghubir Singh photo show requires paying admission to the museum, as it's displayed in a third-floor gallery. Before the exhibition opened to the public, members of the art community who spoke with CBC News seemed supportive of how the museum is handling the issue. "I think it's a brave thing to do, to decide that what we really need in this kind of political climate is opportunity for dialogue and thinking through these kinds of questions rather than censorship," said Dot Tuer, an OCAD University professor. Mia Fineman, who curated the Singh show for The Metropolitan Museum of Art, was also pleased with the ROM. "I think their approach is exemplary," she said. "I think they've handled it in an extremely thoughtful and sensitive way with different constituencies in mind, and really encouraged discussion of the issues that will really help not only in the case of Raghubir Singh but also in the case of the #MeToo movement and the arts in general." 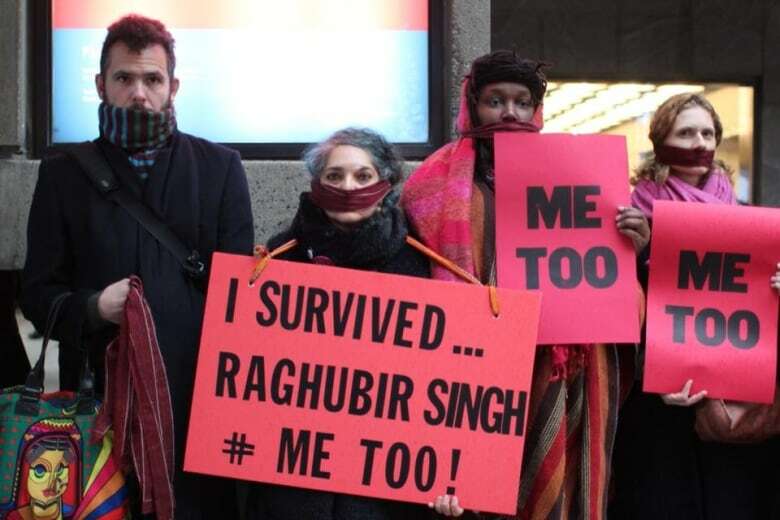 CBC News contacted the woman behind the allegations against Singh, Jaishri Abichandani, who responded with this message: "I support the ROM exhibition as they are the (hopefully) first institution to address the topic. Every supportive space created for survivors is appreciated." One potential issue is whether those attending the Modernism on the Ganges exhibition on the third floor will be aware of the allegations against Singh that are highlighted on the ground floor #MeToo & the Arts display. Leah Sandals, an editor at Canadian Art magazine who attended a preview of the two exhibitions, said she appreciates the museum's #MeToo outreach but wishes there were stronger links between the two exhibits. "There is nothing in the ROM's Singh exhibition that points to the #MeToo exhibition it has sparked," she said. 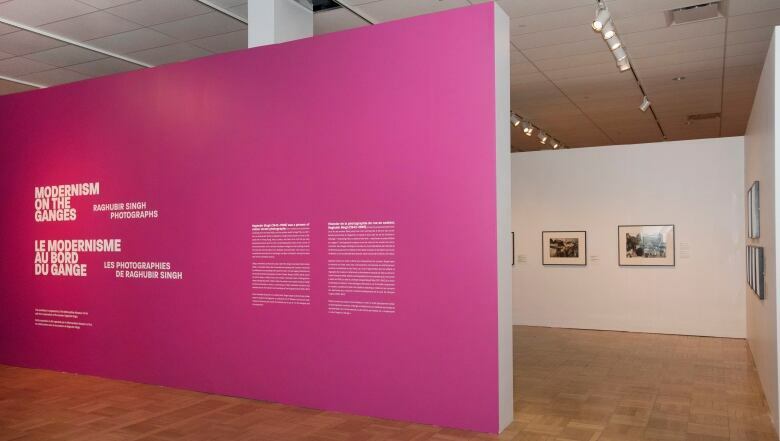 "And the three references to the ROM's own Singh exhibition within the #MeToo display are minimized — in one case quite literally put in smaller print." ROM director Josh Basseches said the museum wanted to separate Modernism on the Ganges from the #MeToo display. "On the one hand, the allegations against the artist were a catalyst for us thinking about these issues, but they are separate projects," he said. 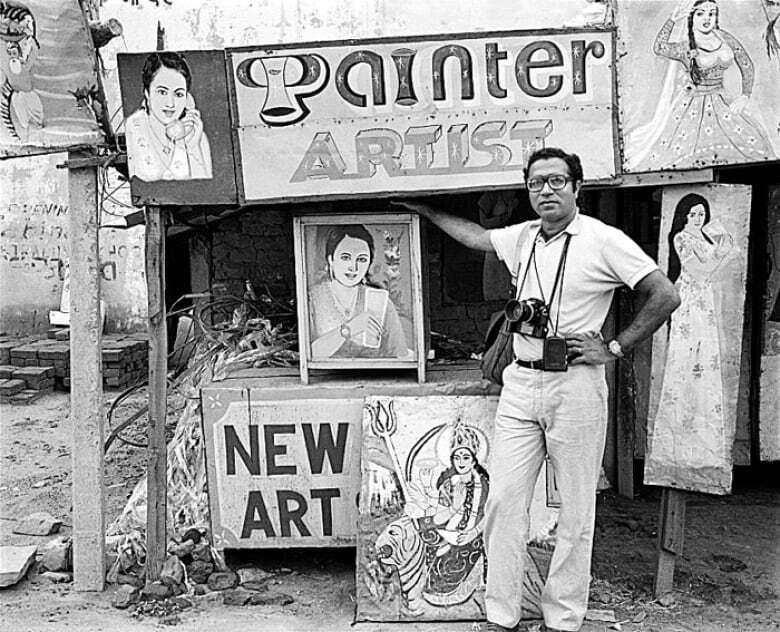 "We want people to be able to come up to the gallery on the third floor and really celebrate Raghubir Singh's work as a pioneering photographer and street photographer and then separately to be able to look at and think about the #MeToo issues and artists and institutions." 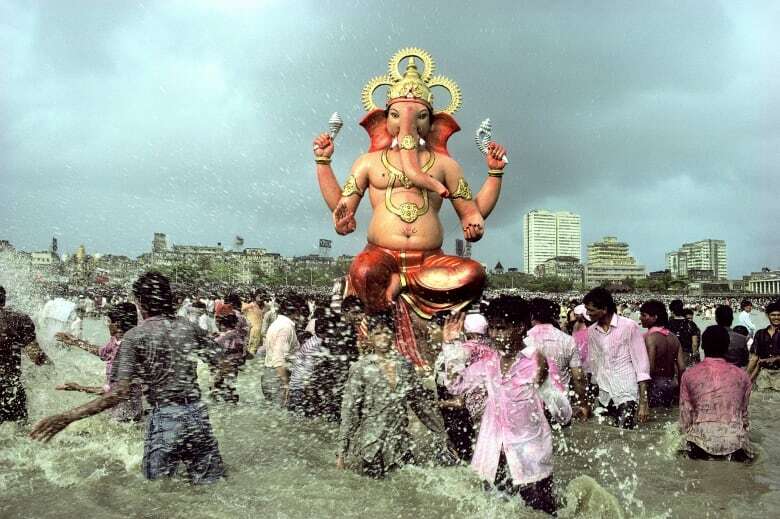 #MeToo & the Arts and Modernism on the Ganges: Raghubir Singh Photographs are both on display until Oct. 21.